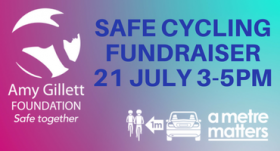 In association with Victorian Police, the Police Association, we’re having a fundraiser for safe cycling. 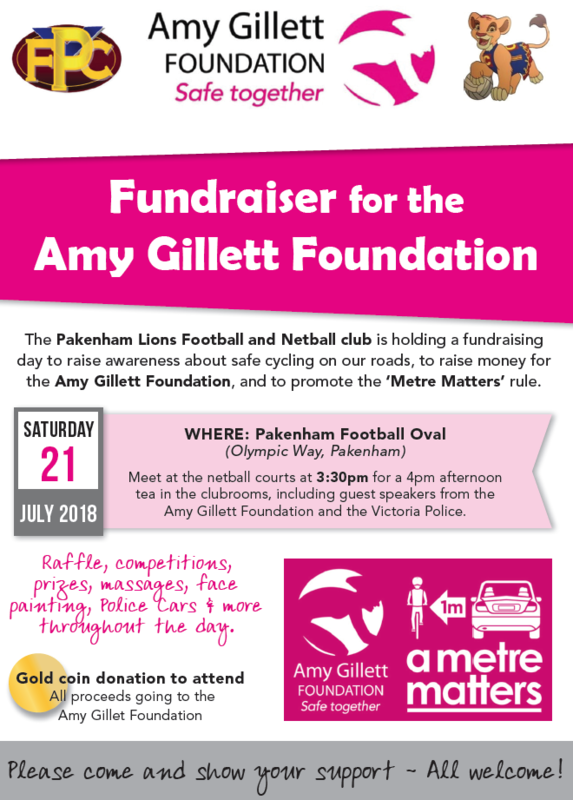 Thanks to the Pakenham Lions Football and Netball Club for hosting the event, activities will include face painting, raffles, food, competitions to and much more will keep families entertained as they learn more about us, how to donate while watching the local football and netball. The main event of the fundraiser will take place at 3:30pm, with an afternoon tea via gold coin donation to take place in the social rooms featuring guest speakers from us and Victoria Police.